What does it say about my schedule here that I only now -- on the Tuesday after its release -- saw The Avengers (2012)? Every scenario last Wednesday, when midnight showings began here in Hong Kong prior to the 26 April release, involved less than 3 hours of sleep for me. As I live on Lamma Island, any midnight screening is going to mean that I miss the last ferry home. So any post-midnight adventure would have involved a hotel room, a lack of sleep, and possibly a taxi ride. And I had to work the next morning. Consequently, my fanboy tendencies lost out to my working adult tendencies last Wednesday night. So I finally saw The Avengers (2012) tonight and I'm glad I waited as I was able to see it in 2D at a nice theater in Kowloon Bay. The film is good but I felt a tiny bit underwhelmed after the hype -- my own included. 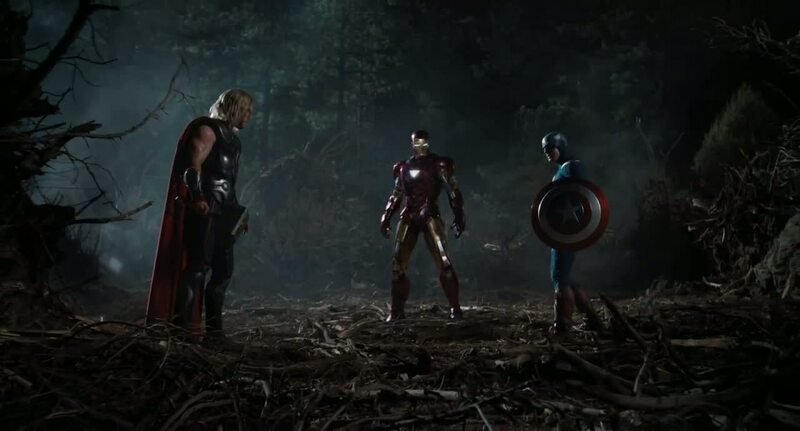 Don't get me wrong; The Avengers (2012) is a rollicking good time at the cinema and a very bright, upbeat, and refreshing antidote to those dark Nolan Batman films. Still, it felt like a prequel to itself in some ways. 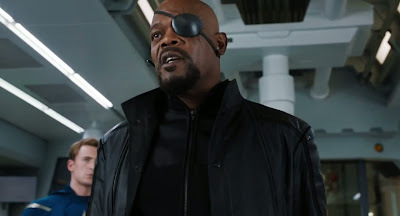 Marvel seems so intent at creating new franchises on film that they seem to be holding back in some ways -- not too many heroes in one film, gradual build-up, villains that don't overwhelm a viewer, and so on. Without revealing any spoilers, I'll just comment in general terms here. 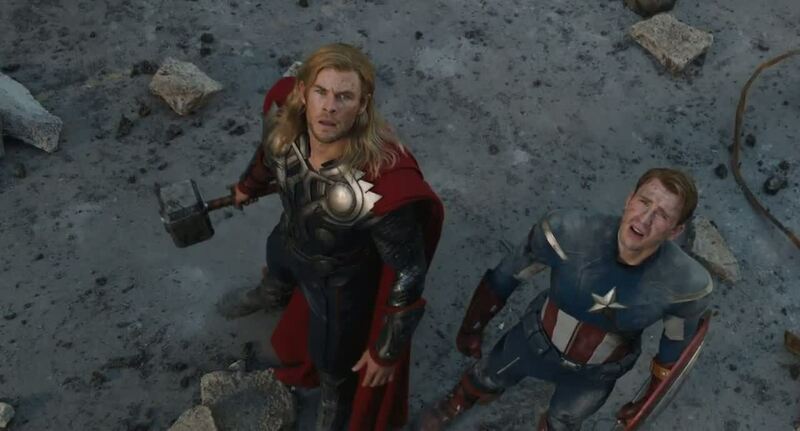 Tom Hiddleston is much more effective as Loki here than in last year's Thor. Or could it be that the character is more expertly handled this time around? Jeremy Renner is a decent Hawkeye but the lack of a mask still distracted me. And Hawkeye here seemed a bit lifeless. Where was the annoying jerk from the comics? Scarlett Johansson was okay as Black Widow. Her Russian past is acknowledged but no mention is made of her lack of a Russian accent. Samuel L. Jackson was good, as he always is. But Mark Ruffalo's take on Bruce Banner was a revelation. Ruffalo found some new spin on the Banner/Hulk duality that it's hard to describe. 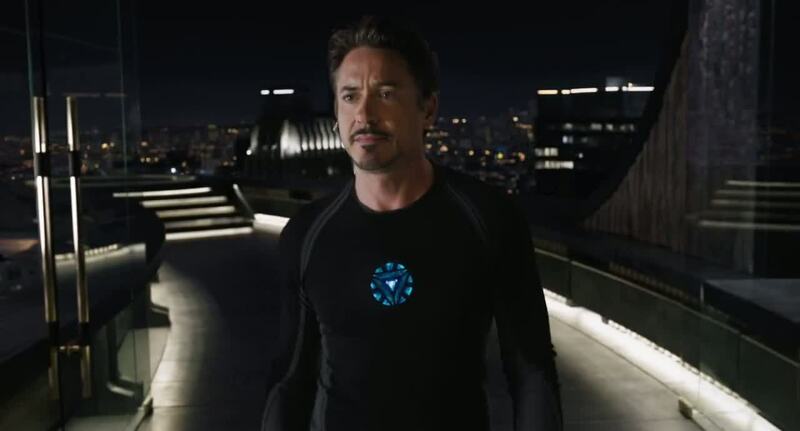 Robert Downey, Jr., is having way too much fun as Tony Stark but that fun seemed to fit the character. 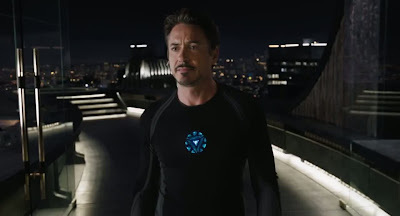 After all, Stark is an outed superhero and a genius and a millionaire; of course he's sometimes a self-centered, smug jerk. 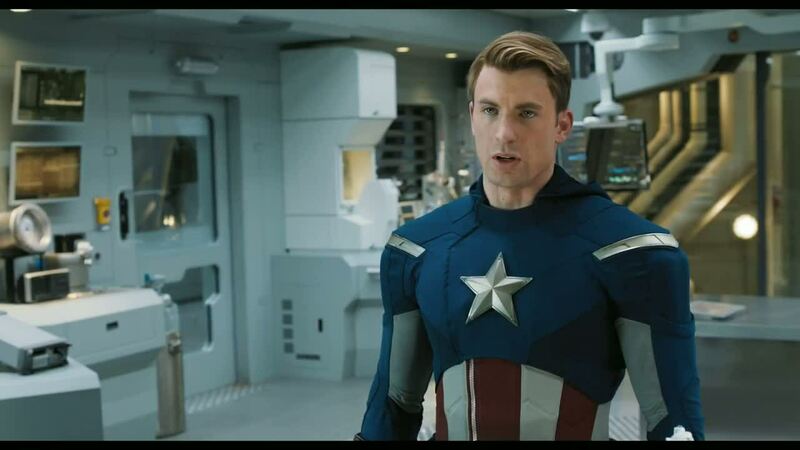 And Chris Evans seems to have made Steve Rogers more mature. Captain America is more of a born leader here and I appreciated that faithful take on the character. 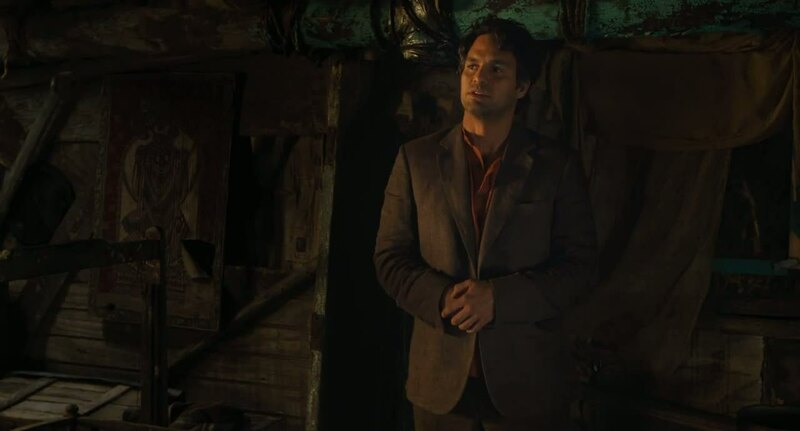 There is a hint of Steve's suffering as a man displaced from his era but I'm guessing that that sort of thing will be explored more fully in the next Captain America film. I felt that weird mix of homesickness and pride again as I heard Captain America deliver some command to the NYPD as I sat in that theater in Hong Kong, thousands of miles from home. The Avengers (2012) isn't perfect but if I judge what was on the screen, I give it high marks. My nitpicking and misgivings all spring from a perspective of what was not included in the film. It's been nearly 40 years since I purchased my first Avengers comic -- the one below is one of the earliest issues I remember buying, though I already knew Iron Man and Captain America from other Marvel titles -- and I am still a bit stunned that so much greatness ended up on the screen. 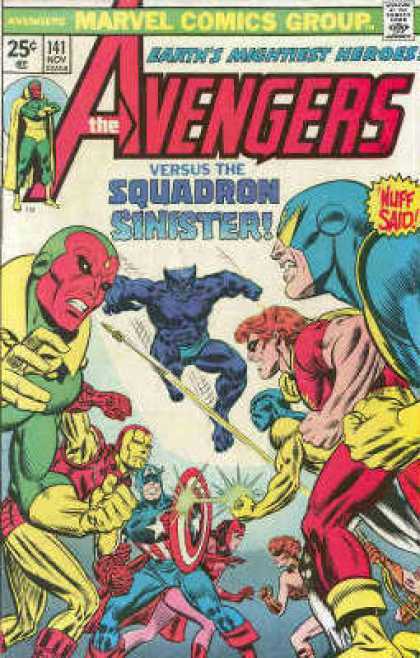 Let's face it, Marvel fans: 90% of what any Avengers fan would want to see is on the screen in this film. We just have to wait for the sequel to see the other 10%.